When I saw the documentary Heavy Metal In Baghdad a couple years ago, mouth agape, I never thought I would actually see them in person. 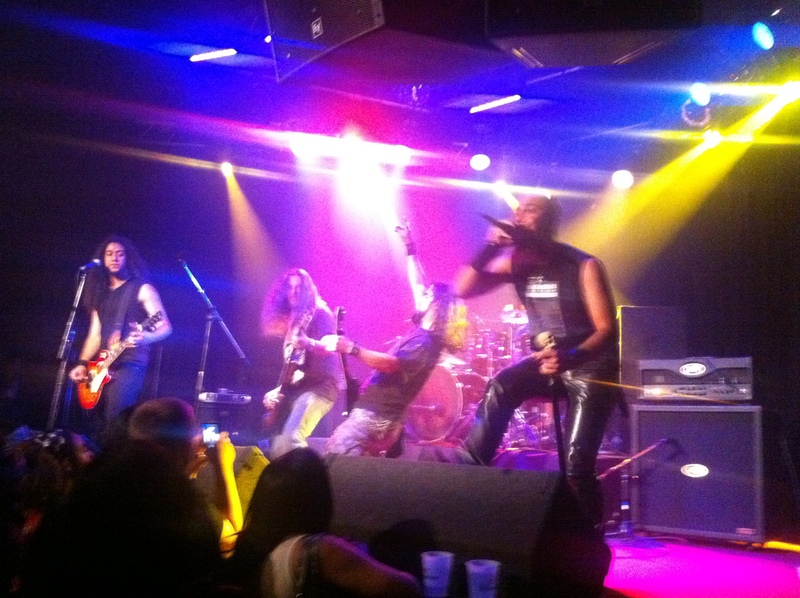 It would be my first time to the famed Whiskey A Go Go, an American icon in live music…and it was strange to me that it was to see a band from a far away land. The place was much smaller than I had imagined. I wasn’t able to get to this show until really late, so I missed all of the openers, which included a band from Egypt. 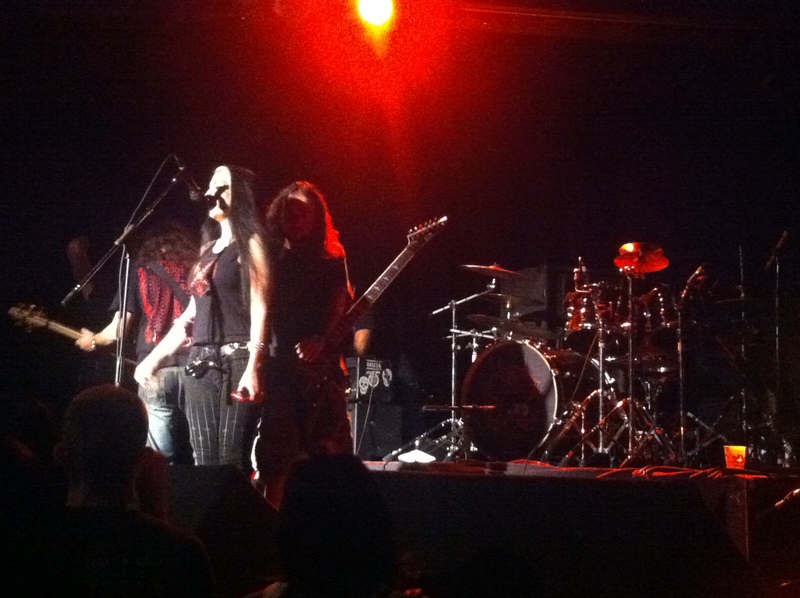 The headlining set was introduced by Metal Sanaz, who is Iranian. In recent years there have been quite a few documentaries that have either propelled or re-propelled bands into popularity. Anvil, Rush, Iron Maiden, Until The Light Takes Us (Mayhem, Darkthrone), and now Acrassicauda. These films have served as vehicles to bring these bands to audiences that may have not been exposed to them before. But tonight, I was a little concerned that the story might outweigh the music. That was not the case. Since the conclusion of the documentary, Acrassicauda now live in America as refugees. As I began watching their set, I wondered if they feel like they are living out their version of the American Dream. Touring life as a musician may be hard….but I don’t think it’s anything in comparison to what they’ve been through. You can tell that there is still a bit of twinkly-eyed ‘I can’t believe I’m doing this’ as they play on that stage in front of screaming fans. Sometimes it’s easy to forget that it’s not about money, the show, the perks, or even the music…it’s about passion! True artists create because they have to get something out of themselves, something that means so much to them they have to see if it means that much to you. I’ve been thinking a lot about the term ‘tortured artist’ and how valid it is. These guys are true tortured artists. To them, all of this was really life or death. 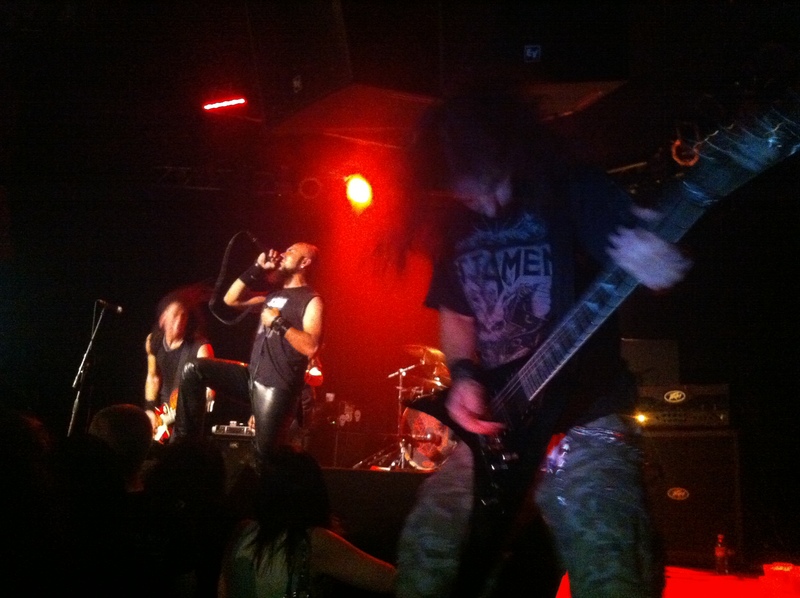 Once I got past that the singer was wearing leather pants, I was able to sink into their set. I love hearing metal music from across the world, how you can hear the influences that Sabbath, Metallica, and Slayer have imbued onto everyone, but then there’s that little ‘something different’ that comes from their environment. With Acrassicauda, there are these melodic snippets that remind you that you are watching a band from the Middle East. As they played their last song, ‘Massacre‘, all of my problems got smaller.